The World's Greatest Dad title is one to enjoy & share with family & friends. Display your honorary title as World's Greatest Dad on these Personalized Wood Picture Frames for Dad. Our Personalized Father's Day World's Greatest Dad Picture Frame comes in three sizes, please choose from, 4"x6, 5"x7" and 8"x10". Dad's picture frame includes an easel back that allows for desk display or can be hung on the wall. 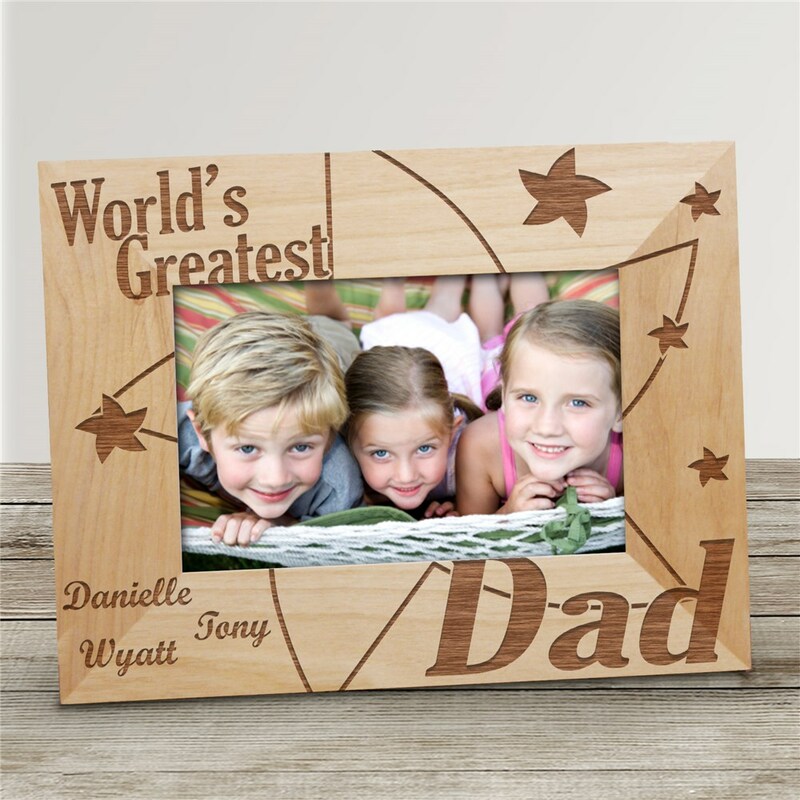 World's Greatest Dad frame includes free personalization! Your World's Greatest Personalized Wood Picture Frames come with any title and up to 12 names. Any title personalization allows this to be a World's Greatest frame for someone special. Create a Personalized Photo Frame for Dad, Grandpa, Uncle or any special Father figure for Father's Day.